Guitar Lessons: Lesson 4: One Note Solo! Some times playing just a one note solo can speak in volumes. 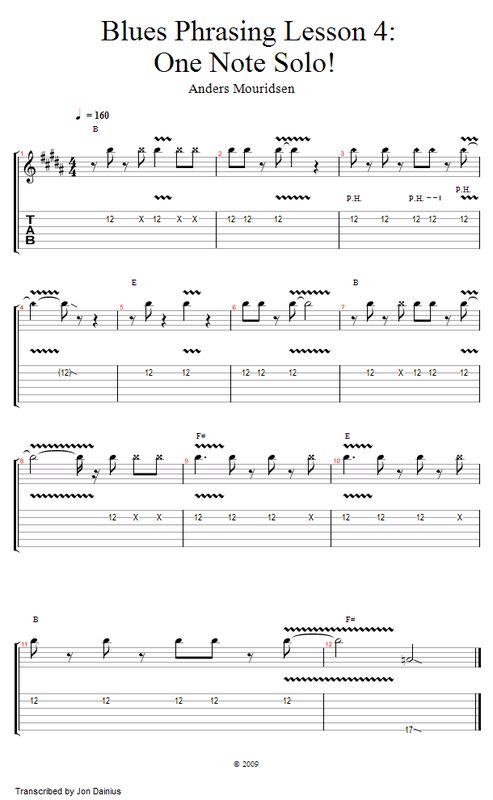 In this lesson, we are going to play a rock style blues in the key of B playing just one note. Focus all of your energy on playing the note B over the entire play-a-long, working out different rhythms in your solo. This one note solo can work great if used with some creative rhythms. Let's jam and see how to do it!